The entry list for the second round of the FIA World Rallycross Championship presented by Monster Energy at Montalegre in Portugal (April 27-29) has been released by the FIA. 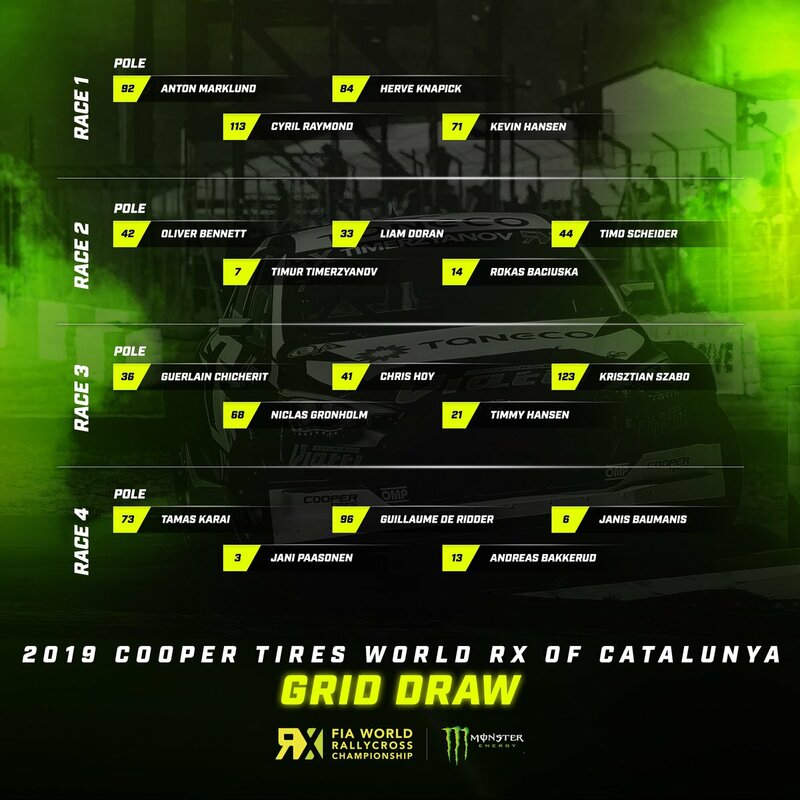 In addition to the 15 permanent World RX entrants, five drivers will compete in the Supercar category at the circuit situated high in the Vila Real mountains, where Chinese Formula E test driver Ma Quing Hua will make his second start in a Ford Fiesta Supercar for Team STARD, following his rallycross debut in Barcelona next week. A pair of local stars will uphold home honour with lLong-time Portuguese off-road motorsport competitor Joaquim Santos making his regular appearance at his home circuit, racing a Ford Focus Supercar, while following his Supercar debut in the opening round of the FIA European Rallycross Championship next week, former Super1600 star Mario Barbosa will drive a Citroen DS3 in Montalegre. Barbosa has previously upset the regular order racing in his home round of the Euro RX Super1600 Championship. He embarked on a full campaign in 2016 and began the season with a strong second place at the first round, also a Montalegre, but a crash in the British round at Lydden Hill next time out ended his challenge. French Rallycross Championship front-runner Philippe Maloigne will race a G-Fors Renault Clio RS RX in the event, while British driver Oliver Bennett will make his second World RX start of the season in an Xite Racing Mini Cooper S, which he plans to debut in Barcelona next week. Last weekend Bennett finished fifth in the second round of the British Rallycross Championship, racing an ex-Olsbergs MSE Ford Fiesta. The Euro RX Super1600 category will also compete in Portugal, the entry list for which will be released by the FIA following the opening round in Barcelona. Find the full orld RX of Portugal entry list HERE.